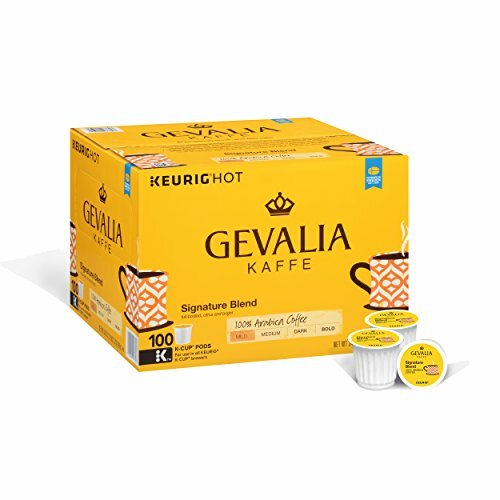 Brew an exceptionally smooth, premium cup of coffee with GEVALIA Cafe Signature K-CUP Pods. This delightfully mild blend coffee is made with Arabica beans that are delicately roasted for medium-bodied, bright flavor that is never bitter. Part of the Heritage Collection, GEVALIA Cafe Signature Blend brings together expert European coffee craftsmanship with premium coffee beans from around the world. For use in all KEURIG K-CUP Brewers, brews a delicious single serving of coffee in seconds. If you have any questions about this product by Gevalia, contact us by completing and submitting the form below. If you are looking for a specif part number, please include it with your message.